Welcome to the website of Traditional Roofing. We’re a fully independent team of roofers based in Horley that provides complete coverage to domestic and commercial customers throughout Surrey and West Sussex. Eddie Crawley, the proprietor of the business has 25 years of roofing repair experience and our business is a proud Checkatrade member that also operates as part of the Federation of Small Businesses. From the first point of contact to the final project handover, we deliver a traditional roofing service that always puts customer satisfaction first. Our roofing contractors already have an outstanding reputation throughout Surrey and Sussex for delivering guaranteed workmanship and a fully insured service that always meets and exceeds customer expectations. 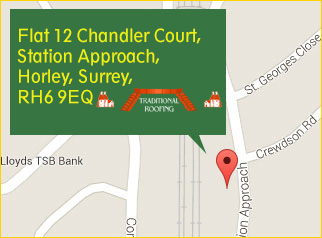 We are delighted to serve our customers as Surrey’s leading local choice for flat roof repairs. We use modern installation and repair systems on any type of flat roof structure and our team handles large-scale flat roofing work on commercial properties with ease. 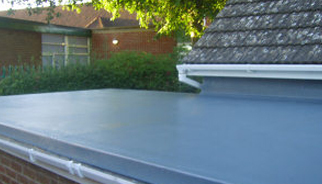 Based on the type of construction, we can guarantee all flat roof repairs and installations for between 10 and 15 years. Traditional Roofing, the trusted choice for roofing repairs throughout Surrey and Sussex, always make the customer our number one priority. We always deliver finished projects so that they always look exactly how the customer imagined they would. Our team undertakes small and large-scale roofing work covering everything from a single tile replacement to a complete renovation. With Traditional Roofing, you can expect to receive traditional customer service too. Our team aims to deliver 100% customer satisfaction on all work completed. We know that future of our business depends heavily on the word-of-mouth recommendation our customers make and we never walk away from a project until the client is entirely satisfied with our workmanship. Are you looking for professional Roofers, covering Horley, Dorking and the surrounding areas? Traditional Roofing is a Horley, Surrey based company with over 25 years of experience in the residential and domestic roofing trade. We provide re-roofing and repair solutions for all home roofs and operate extensively throughout our area and the surrounding areas including Purley, Tadworth, Pulborough, London, Dorking, East Sussex, West Sussex and Surrey. From your first phone call to us, our aim is to resolve your roofing issues in the most efficient and cost effective way, whilst maintaining the highest standards of quality. We have public liability insurance and are members of The Federation of Small Businesses. All of our work is guaranteed and we believe that only customer satisfaction can continue to build our excellent reputation. Replacement of the roof tiles.